Summer just started recently, well the end of spring it was already hot so I consider it to be summer. 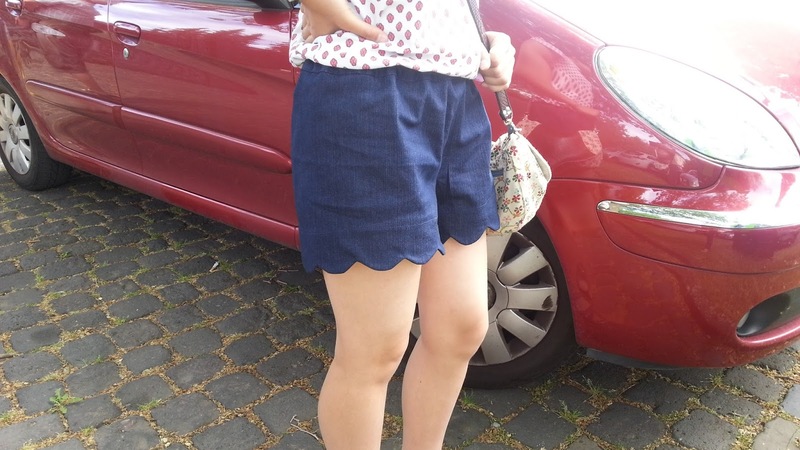 I made this shorts Flora, pattern is from www.pattydoo.de. Since my eldest daughter has been asking for shorts so there she have one now in addition to what she was wearing already before. It is kind of exciting that I was able to sew clothing for my children or even hubby. The jeans was bought at Royal Tissus.